This summer “Questlove’s Cheesesteak™” will also be introduced on the menu at 40 Live Nation owned and operated venues across North America. Aligning with another kindred spirit, Questlove found the perfect partner in Live Nation who was the first to offer Impossible™Meat in the concert space when they introduced the Impossible™Burger at over 35 venues in 2018. Live Nation venues maintain a commitment to responsible food sourcing, climate-friendly menus, locally grown produce, and its own “Sustainability Rocks” program. “We first tested this product at our annual Roots Picnic music festival in Philly in 2018. 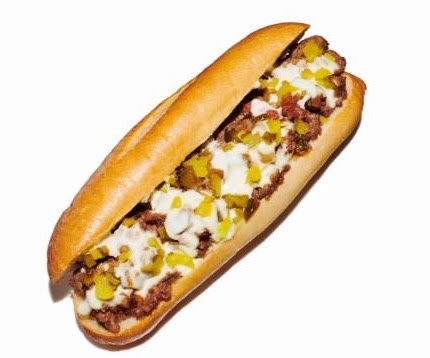 Without any forewarning we offered the Cheesesteak in our VIP area which was mainly populated with friends and family and no one believed me when I told them the “meat” was not beef, but plant-based. My team and I saw an opportunity to roll out the product on a much larger level. To have the Phillies and Live Nation as our initial partners is great as it speaks to my love for my hometown of Philadelphia combined withmy love of music. However, the goal for this product is to create a global network of restaurants, venues, and retail locations where Questlove’s Cheesesteak can be purchased,” says Questlove.